The increasing application of notions and results from category theory, especially from algebra and coalgebra, has revealed that any formal software or hardware model is constructor- or destructor-based, a white-box or a black-box model. A highly-structured system may involve both constructor- and destructor-based components. The two model classes and the respective ways of developing them and reasoning about them are dual to each other. 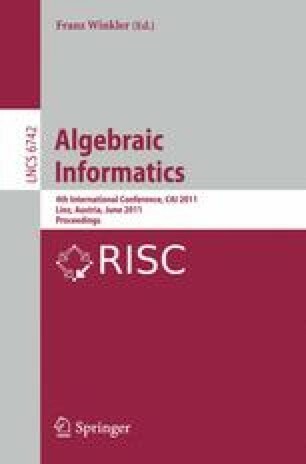 Roughly said, algebras generalize the modeling with context-free grammars, word languages and structural induction, while coalgebras generalize the modeling with automata, Kripke structures, streams, process trees and all other state- or object-oriented formalisms. We summarize the basic concepts of co/algebra and illustrate them at a couple of signatures including those used in language or compiler construction like regular expressions or acceptors.